Love this - the different heights and colours work so well! Lining up all those arrows so they were straight must have been a bit of a pain but so worth it! Fabulous card! Colourful CAS. Love the design. More than awesome!! 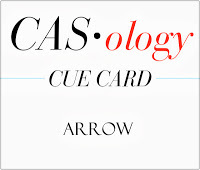 Bright, fun, on trend, clean and flawless CAS!! 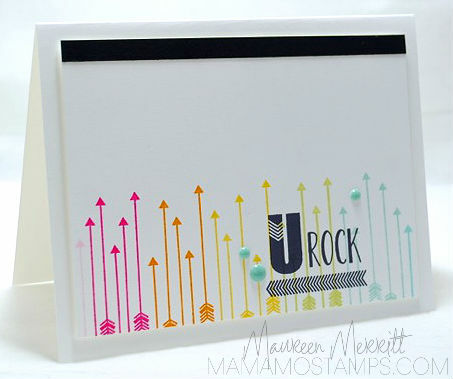 your card ROCKS!! love it!! A rainbow of arrows is pretty hard to beat! Love it and that perfect sentiment! Seriously amazing. Definition of CAS in my book. What can I say but WOW?